We are delighted to announce the launch of the 2019 IJIC Business Ethics Case Writing Competition. Submissions can be made from March the 1st to August the 1st, and the prize fund is US$250. Free case download: to coincide with this year’s IJIC Business Ethics Case Writing Competition, we are offering free access to one of our classic business ethics cases, ‘The Chairman’s Jokes’ by regular IJIC author, Ralf Mehnert-Meland. Available until May the 31st. Download your copy now! Just published: Achieving a dream in the agricultural sector. Mike Arce is the owner of a 30-hectare farm in an agricultural area on the coast north of Lima, Peru. He must find a solution to the liquidity problem that arose at the end of 2016 and determine if he has adequate accounting information to make his decision. 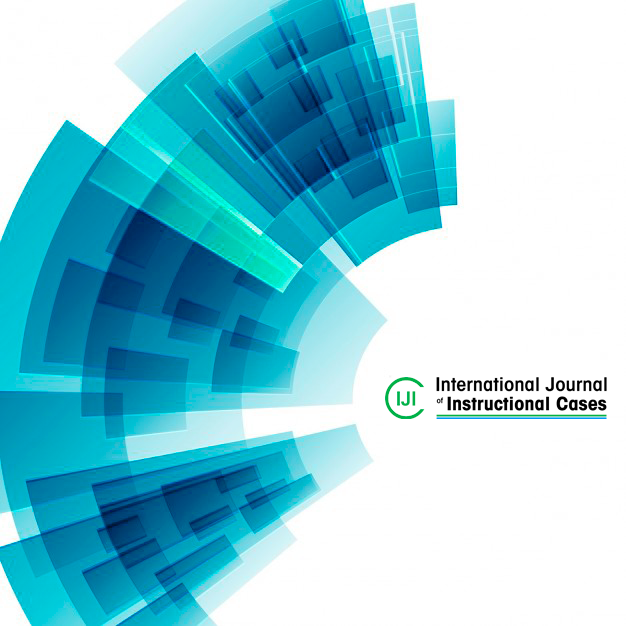 The International Journal of Instructional Cases (IJIC) is a double-blind, peer-reviewed, electronic publication with ongoing release of instructional cases and related materials for use in classroom and boardroom settings. IJIC only publishes concise teaching cases with expanded teaching notes. The cases are short (four pages or fewer) but the teaching notes are extensive, providing rich instructional assistance. Open for submissions from 1st March. Prize fund US$250!